LIFX (pronounced LIFE-X) is a company out of Silicon Valley with roots in Australia that has created a WiFi-enabled, multi-colored LED bulb that you can control via a smart phone. No hub needed. The LIFX bulb is designed to last over 22 years! Buy LIFX bulbs for your home. Have your lights turn on at sunset, dim at bedtime and even change color when the morning brew is up. You can manage them individually or add them as a part of your Routines. And like Yonomi, they work without a hub. Adding LIFX bulbs to your Yonomi account is just as simple as one, two, three. Note, your LIFX Cloud Account will automatically be discovered and then your bulbs will appear once you sign in. 2. 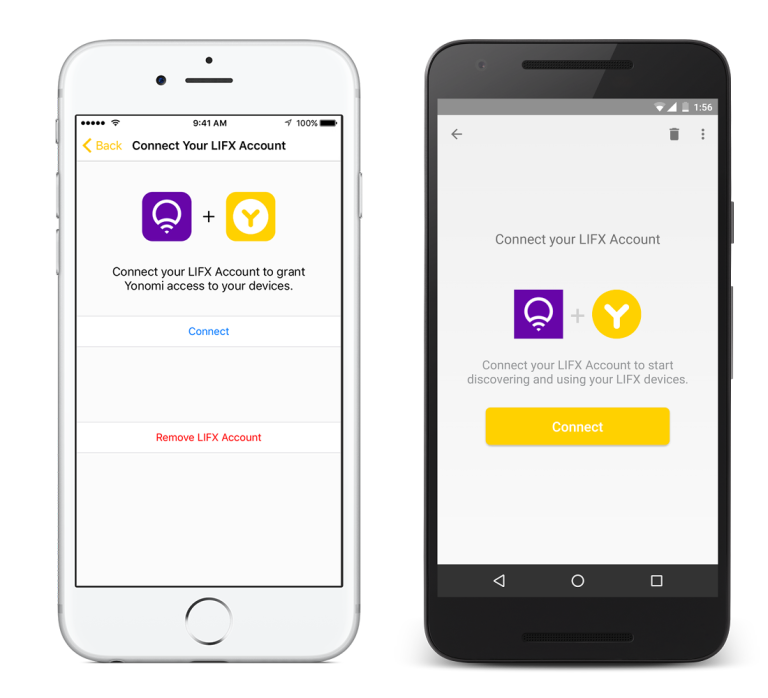 Select LIFX, then complete the authentication instructions. add them to Routines and have fun! Find more info on LIFX on their website, Facebook, and Twitter pages. Along with the LIFX, Yonomi plays well with over 60 of the most popular devices. They no longer have to run independently in multiple apps. An action taken with one device, can trigger a sequence of actions of your other devices, making your connected home simpler and more comfortable.